We have a baptizm planned for July 5th. He is a miracle and his name is Humberto. He was basically a drug addict for 25 years and he just decided to stop and get himself some real help. So he´s got a bunch of therapists and doctors helping him, we´re there to help him, he´s a miracle...and finally..after 4 weeks he prayed and he´s getting baptized the 5th of July. He´s a philosopher type so it was hard, but he is spectualar. His name is Humberto, so shoot some prayers his way if you guys can. He now prays everyday and he´s always praying for us too, he´s super legit. He´s hilarious, and totally reminds me of some of my high school friends. We´re also trying to help him find a job, he´s continuing his studies to be a lawyer but in the meantime he´s gotta find a job, we´re make phone calls and we´ll see what we can find him. One of our less active members, Gertrudis is hilarious...she´s this little old lady who basically just talks to us about her death..it´s sad but everytime we visit her we´re all like ¨don´t say that, we need you!¨ She is such a comedian though, really, she says everything she thinks and there is no filter! For example...she has this niece that´s basically blind, but they´re neighbors..and Gertrudis was all like ¨why doesnt she visit me if she´s younger? and I´m here, basically about to die¨...and I told her...¨well Gertrudis..it´s just that...she can´t really see very well..¨..and Gertrudis said ¨ Well, that´s because God punished her for being such a bad person!¨ haha!! I just laughed, it was just such an outrageous conclusion haha she is something else. 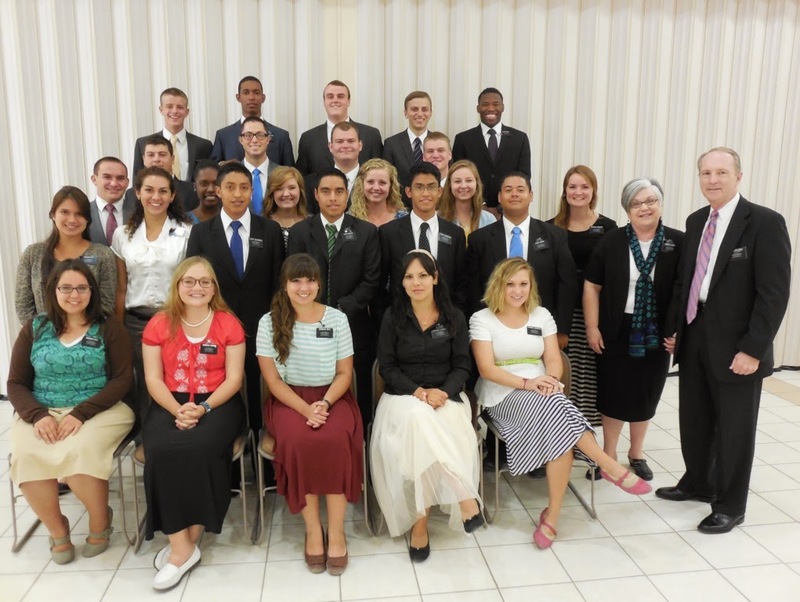 So Jose Enrique is supposively going to get baptized in 3 weeks but we´ve gotta figure out the details on him because we just found out that like 10 years about other missionaries had passed by his house and had helped his parents get married! (what?!) Both his parents are now dead, but he has an older brother named Elder....that´s interesting. So, yeah we´re still trying to figure out everything...but he is so cute. We´re still best buds! I´ve offically given up on all makeup because it just melts right off and it´s definitely not worth it, so all the pictures you guys will be receiving of me will be me in my completely nature Mexican state haha! Oh! Yesterday I´m pretty sure I told my companion something that I thought was absolutely hilarious and she told me that I had the devil inside of me! What! haha! I wish I could remember what I had said! I love you all! So yesterday at church, my best friend Jose Enrique (9 year old) and his cousin, Brisni (11) came with us. They are amazing and are definitely the poorest children I have ever seen in my life. They don´t go to school because theyre watching after the chickens and collecting trash in the streets.. everyone else in their family drinks and I´m pretty sure all if not the majoritiy of them have mental illnesses. They have a house made of cardboard and stones that´s on the side of a mountain. Jose Enrique wants to be a missionary and travel the world. He was inviting everyone to his baptism (2nd of August). During church he kept telling me he was hungry and we really didnt know when he would eat again or if he´s eaten all day and he told us he hadn´t. My ward mission leader took him to a little store after church and bought him and his cousin food for 2 meals. My ward mission leader is awesome. I really can´t even explain how I feel about him, he´s just this little bursting ball of sunshine and I really just want to give him the best life possible. Also I hope my sister and all the other girls in the ward are having an awesome time at girls camp! Woohoo!! 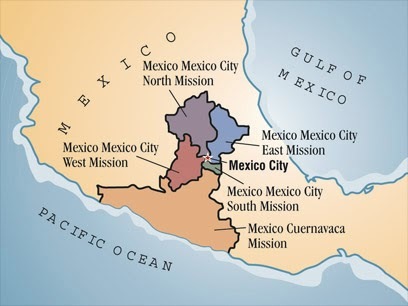 Serving a mission is definitely the hardest thing I´ve done in my life, but it might be the most rewarding....I´m not quite done yet so I can´t give a full report on how it was, but I´ll let you all know how it was at the end of it all. Hey everyone, this week was....a disaster..nah, just kidding, but it definitely had its ups and downs. We had a training meeting on Wenesday for all the trainers and the new missionaries and it was great to see Hermana Junca ( she´s from my district in the MTC) and we totally get each other. We learned a bunch of things, and then they fed us. We were going to go back to Chilpancingo that same night but something I ate made me sick and well yeah..so we had to stay in Cuernavaca another night. There are 2 older sister missionaries in the offices and I was laying down in one of the back rooms and they were basically fighting to see who could be the most motherly and all I wanted to do was sleep lol I´m pretty sure I´m a horrible person. They wanted me to take a cold bath, sleep without a blanket, ect ect--they had a boatload of suggestions, but at the end of it all..I just went to sleep. Back in Obrera, Chilpancingo...we´re on day number 14 without water...we´ve upgraded from the bucket shower, to showering with a hose that we feed up through the spiral staircase. I love Mexico, the people, the food, the mission...but there will be nothing like showering in the normal shower back in the states. We had 9 investigators at church yesterday. NINE. That has never happened before and we were SO happy...it was amazing. I can´t wait to see the progress of all of these people. We´re still working with Humberto, we´re going to talk to him about the word of wisdom tonight. He´s really been trying to stop drinking recently but we´ve gotta let him know that he´s really missing out on a lot of blessings when he drinks. We´re also working with a family of 4 ...the older daughter was already baptized in October, and the younger sister and parents have all the requirements they need to actually be baptized. The younger sister wants it with all her heart but she´s 13 and without the parents permission it´s a no go, but we´re having a huge family home evening Thursday and we´re going to see what happens. So I have a Mexican best friend! His name is Jose Enrique and last Sunday we come to church with us!It was awesome because we were at stake conference and the poor 9 year old was so bored so I leaned over and asked ¨Hey..so..do you wanna be my best friend?¨And he totally remembered! We went to pick him up yesterday but he wasnt there...but later in the afternoon we were walking throught the street and he came up and gave me the biggest hug ever and said ¨Hey, best friend! I´ve missed you¨ He is adorable. He also drew me a Winnie the Pooh picture and gave me his light up toy thing...haha I´m not sure what it´s called but it was super sweet of him to give it to me. So we finally had that zone conference! It was great, I think so, haha! It was definitely an interesting feeling getting up there with my companion and training everyone else on the Book of Mormon, ha! Like I´m an expert, psshh..lol Everyone said they liked it though so I guess that means it was a plus! We had a really humbling experience the other week..we got into a combi (the white mini vans that are basically like the public transportation) and they started asking for us to pass our money up front. We always pay so it wasnt a big deal so when we went to look my companion realized she didnt have any money and I only had 8 pesos and 50 cents! what! and the ticket costed 5 pesos each person...so we literally had to ask the people in the combi if they had 1.5 pesos they could give us..wow....a kind kind soul eventually gave us a coin for 2 pesos and we gave him the coin for 50 cents...talk about humbling. We didn´t have any money to get home either so we had to fast walk/run 45 minutes to get home before our time that we have to be at home. And of course we were literally on the outskits of the limits of our area. We also had a fumagator come to our house a week ago because we had a huge investation of crazy flying Mexican bugs...the next day they all came crawling out of the walls and we no longer have a bug problem! But we came home one night and we didn´t have electricity in the house and apparently the owner of the house had given the bill to my older companion and she had thrown it out, not knowing what it was...no! So we took care of that and we now have ´luz´haha! And one top of all of it, we haven´t had water in our house for over a week. But it´s okay because we have a neighbor who lets us take water from her kitchen sink and we bath with buckets! Yes, I love my bucket. We have an awesome investigator. His name is Humberto and we were walking on our way to pick someone up for church and he was drunk but asked us if we had some books we could give him. We gave him a Book of Mormon with our phone number and after a few miscommunications and getting lost, we eventually had our first appointment with him and he´s been to church twice, and always reads. He´s had a really hard life and is really trying to change. He´s been to a psychologist and everything because he wants to change and get his life on track. He´s really analytical about everything and he´s also a lawyer and philosopher so some of our lessons are really interesting because he reads the chapters of the Book of Mormon that we give him and he questions us but he doesnt feel confident enough to pray so we´re trying to help him out with that, but hopefully he´ll get more comfortable with it sooner or later, When it comes to knowing if the church is true or not, youve gotta pray about it to know. As a mission we´ve started reading the Book of Mormon, 10 pages a day for 65 days because that´s how long it took Joseph Smith to translate the plates. I´m trying to do it outloud because I could always improve my pronunciation. Scriptures in Spanish are sort of hard!